Gawande’s listening. But can he disrupt healthcare? Buffet, Bezos and Dimon have found their man. 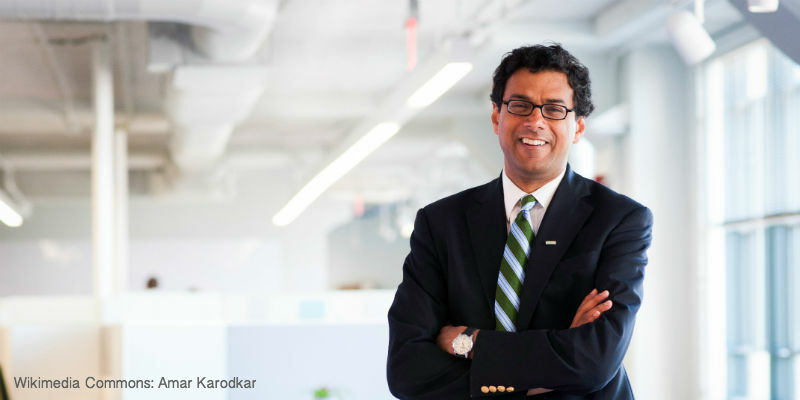 Five months after the respective chiefs of Berkshire Hathaway, Amazon and J.P. Morgan Chase jointly founded a venture to reduce the cost of healthcare in the U.S., starting with that of their own employees, they appointed world-renowned surgeon, public health researcher and author Atul Gawande to take the helm. Now he’s embarking on a cross-country tour, to hear first-hand from employees of the three companies about their health problems and barriers to care. The intelligence Gawande gathers will be essential to defining the venture’s priorities. But its success in executing on them will ultimately come down to the strength of his leadership. But Gawande skeptics are missing a crucial point that the Theory of Disruptive Innovation drives home: you can’t transform an industry by doing what’s worked in the past. So, experience running a large health system that’s excelling by today’s standards shouldn’t be an essential qualification for the job of creating one that will excel by tomorrow’s. After all, when Bezos founded Amazon at age 31, he’d never run a global, internet marketplace with over half a million employees and nearly $178 billion in net sales. How could he have? The business category didn’t even exist yet. You can’t transform an industry by doing what’s worked in the past. Further, in planning to remain engaged in his other professional activities while in charge of the new venture, Gawande may not only be bold, but also very smart. History is littered with ex-CEOs who, consumed by business-as-usual within their own firms, failed to recognize or address the signs of imminent disruption in their industries, and thus became professional casualties of the force. The “portfolio career” that Gawande apparently envisions may, therefore, actually prove an important source of the insight and imagination he needs to do what no healthcare CEO has yet succeeded in doing—that is, to create scalable delivery models that will make healthcare genuinely affordable for all stakeholders. And anyone who’s deeply concerned about Gawande’s ability to concurrently excel in multiple jobs should note that he began his award-winning writing career during medical training, back in the days of 90+ hour work weeks for residents. The important questions of system leadership experience and time commitment aside, then, what exactly must Gawande be able to do as CEO to achieve the venture’s ambitious goals? Disruption Theory tells us that he must be able to identify important, unmet needs for improved affordability, accessibility and convenience in healthcare. He must be able to focus his organization on innovations that can address those needs, while achieving appropriate care quality standards. And he must be able to construct a business model, as well as a network of suppliers and distributors, that will thrive in astute scaling and/or marketing of those innovations. Doing so will require deep expertise in the subjects of public health and health systems, which Gawande’s myriad professional accomplishments attest he possesses. Moreover his writing, with its laser focus on shortfalls in U.S. healthcare quality, affordability and equity, as well as emerging solutions for addressing them, indicate a unique talent for applying his expertise to the particular problems a health system must solve in order to transform the industry. On the other hand, while Gawande’s lack of experience leading a large health system rightly did not disqualify him from the CEO job, he’ll need to excel in that leadership capacity going forward. And with a nod to the skeptics, one must acknowledge that his career to date doesn’t suggest much about his potential for doing so. But astute hiring could fill some gaps that may emerge in this respect. Further, Gawande’s seasoned and wildly successful bosses should serve as excellent management coaches, and his clear passion for healthcare improvement, voracious curiosity about its constraints and enablers, and courage to confront his profession’s status quo should make him an able student. Only time will tell, of course. But until then, I’m betting on Gawande; and for the sake of America’s health and prosperity, I hope I’m right.